After I had the great workout in the gym, Michael and I grabbed burritos and brews at Laughing Planet. 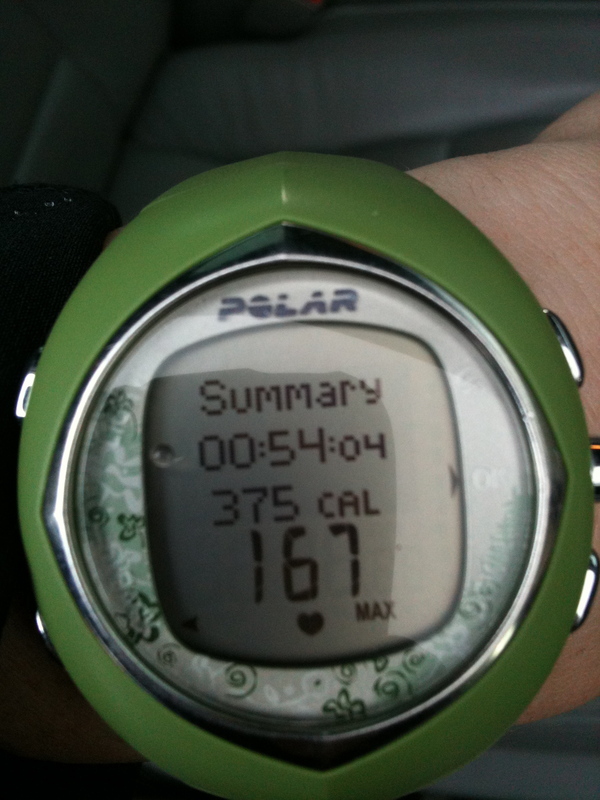 I was famished after burning over 800 calories. I ordered the Southwestern Burrito: cheese, brown rice, corn, onions, green chilies, salsa, sour cream and guacamole. 700+ calories. It was a gut-bomb but delicious. 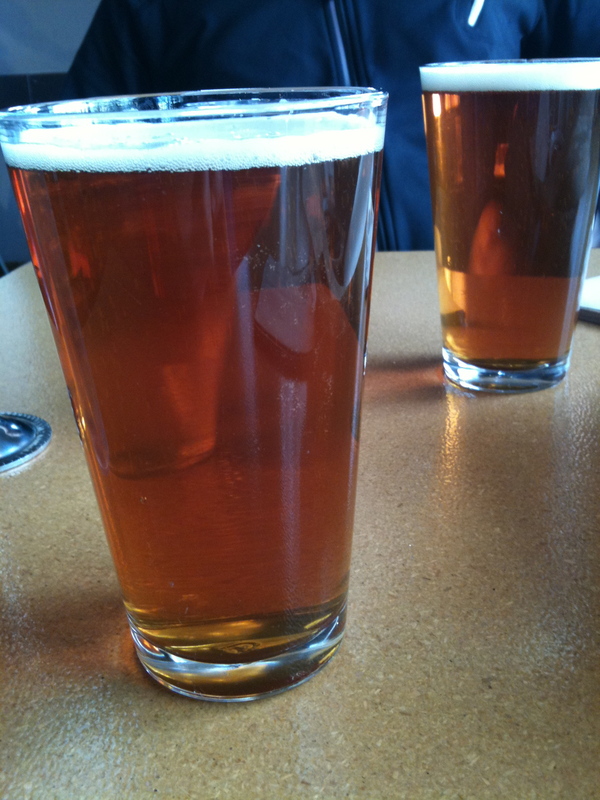 I had one Ninkasi Tricerahops (awesome beer). We both wanted to go for a hike on Saturday but the weather was solid rain ALL DAY. That’s why I’d headed to the gym. 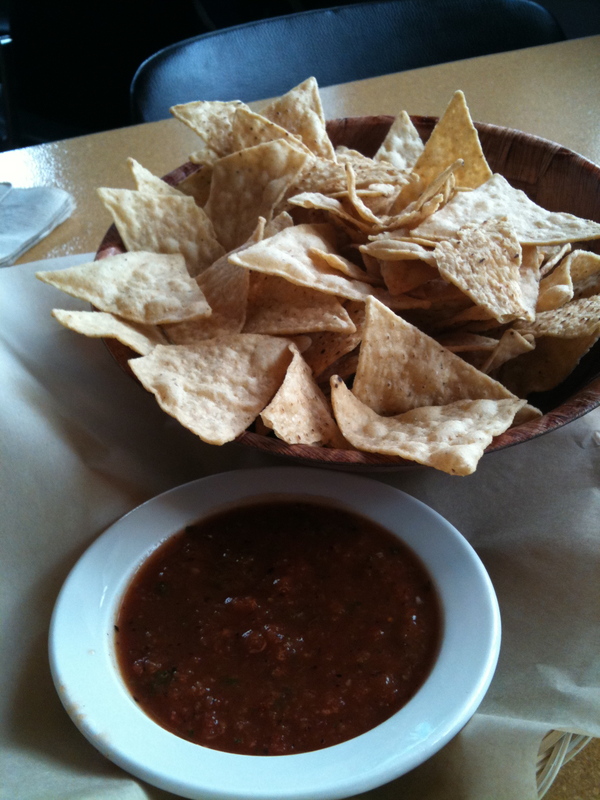 Well when we were enjoying our burritos the sun was out, bright and shiny, no rain. What a scam! Michael suggested we go for a hike anyway. If it ended up raining, we could take rain jackets with us. The clear skies promised a good hike. So despite us both already having our workouts out of the way for the day we agreed to give a hike a shot. 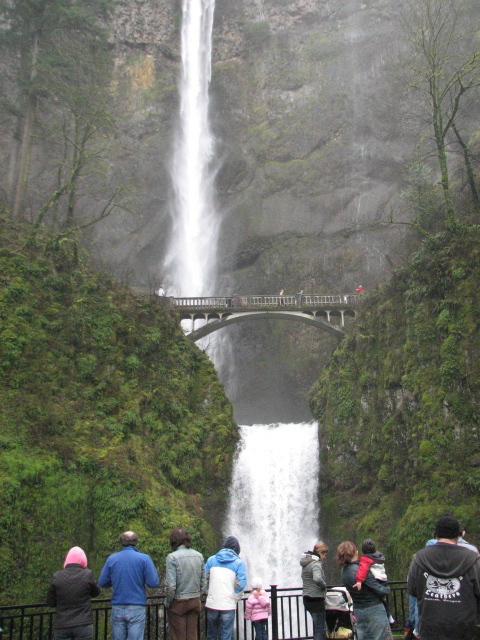 The perfect hike for the winter time is Multnomah Falls. It’s paved and not muddy. Plus it’s (usually) less crowded in the off season. The first winter Michael and I were dating we hiked Multnomah Falls several weekends a month to build up our hiking fitness. It was a great barometer for our abilities. We were hiking it so much we knew when we were getting better at it by comparing our time each time we hiked it. 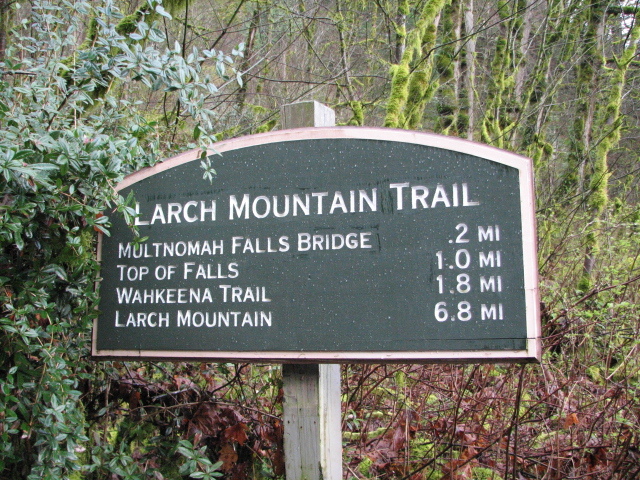 Multnomah Falls is a unique hike. It’s classified as “moderate” in difficulty because it’s short. 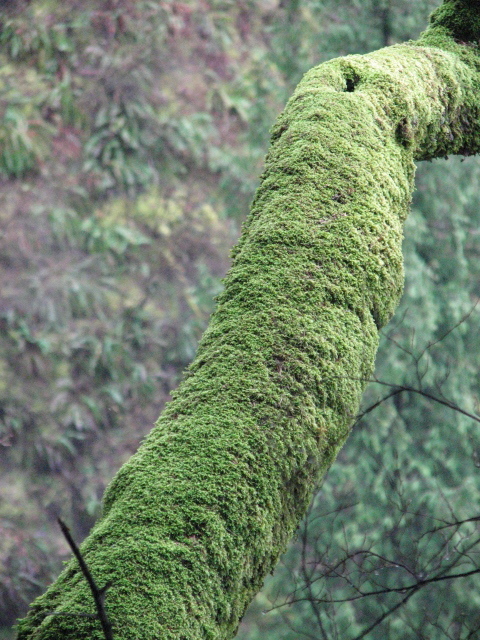 It’s a mile to the top of the falls–a short distance. But it’s STRAIGHT UP. The elevation gain is pretty drastic. It’s not uncommon for us to see out of shape hikers having to be escorted back down the trail (this has happened several times…hikers taken back down by wheel chair or stretcher). It’s also a tourist trap. It’s right off the freeway and a destination spot for out of towners. I see the weirdest people hiking up The Falls: in flip flops, (the girl today in high heels), people pushing strollers up the trail. What a grueling way to enjoy the falls. We stopped and put on our rain jackets then continued up. We stopped to rest at the half way point. We were both huffing and puffing. 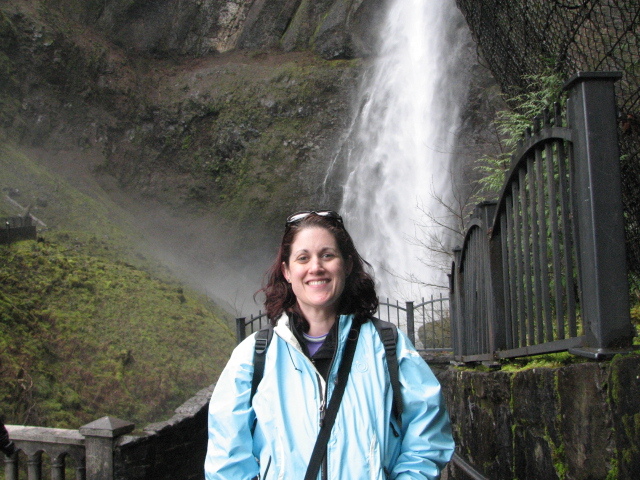 I was surprised how challenging Multnomah Falls was for us. 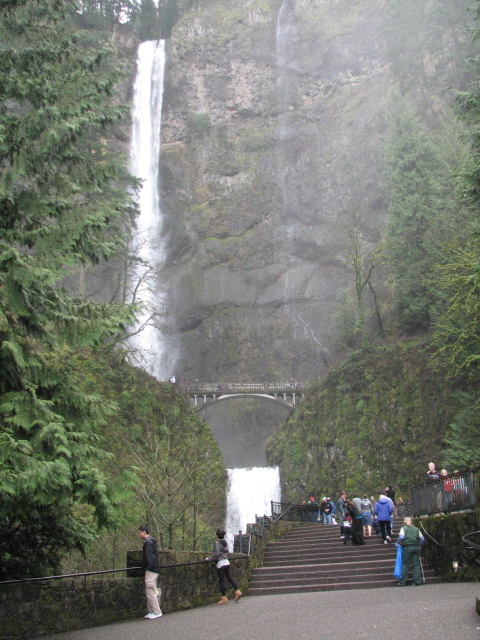 Granted we haven’t hiked much this winter, but Multnomah Falls is like the Thing That Must Be Conquered! Especially for me. I remember the first time I attempted to hike it. I was probably around 200 pounds at the time. I drove out to the Gorge by myself on a sunny day and I was barely able to make it to the half way rest point. I was dying. I was so out of breath I could barely breath. I ended up turning around and going back down; I never even tried to go the rest of the way. It wasn’t until I lost about 40 more pounds that I tried it again and made it to the top! That was a great day! Back to Saturday: with the rain gear it wasn’t too bad for awhile. 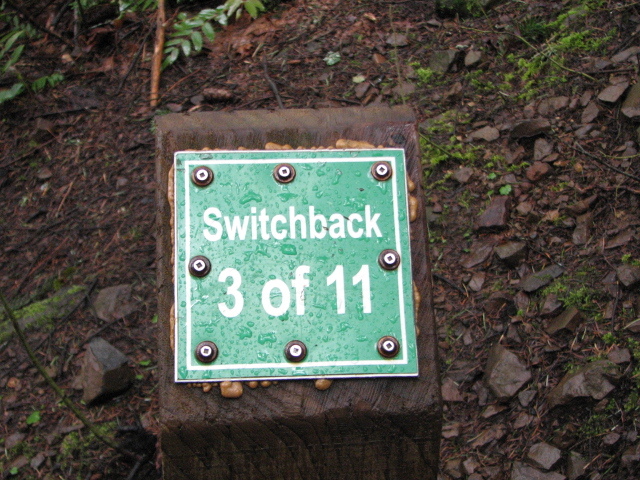 Once we got to about 3/4 of the way up the trail the rain got intolerable. It was just dumping on us. Michael and I looked at each other and then decided to turn back down. We still had grocery shopping to do and neither of us wanted to do it soaking wet. 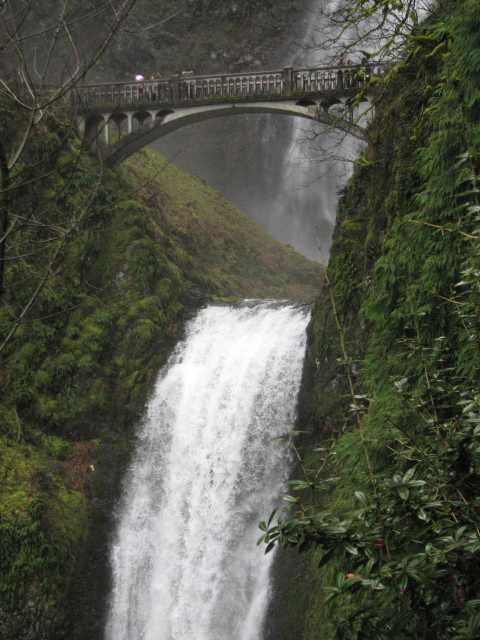 Multnomah Falls will have to be completed another day. 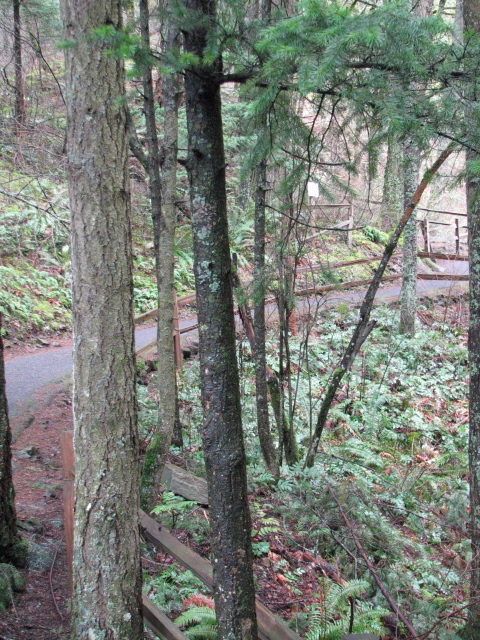 It was nice to get out there after such a long hiatus from hiking (in Oregon at least). I spent the rest of the evening watching “The Ghosts of Girlfriends Past.” It was a really cute movie. QUESTION: What is something you want to conquer? That sounds like my kind of day! Mexican, beer, and a hike to such a pretty place. Even with the rain, it sounds fabulous. I usually get the bean and cheese burrito but I decided to branch out. Have you tried the BBQ one? I love Tricerahops too. I wish we could buy it in the grocery store. Multnomah Falls is weird for sure. I always see bizarre things. Bizarre foot wear, weird people…. Multnomah Falls, actually. That’s something I want to conquer. I mentioned this on your facebook page, but I’ve hiked the falls once, and that was 16 years ago, and haven’t been back. It scares the crap out of me. Multnomah Falls is sooo pretty!! I’ve only been there once, when my parents were visiting from Norway. We couldn’t convince my parents to hike in the rain, so JK and I just ran up to that beautiful bridge and snapped some photos. When Michael’s dad and stepmom were visiting my Texas we convinced them to hike it! They had a great time. I really want to finish the rest of Larch trail but something always prevents me from doing so. This summer that will change! Whoa, what a pretty place to hike! And lol @ the silly people in flipflops & heels. Duh. Your hike wins over the lame hike I did yesterday. It was so drab, YOU got a waterfall! Lucky! 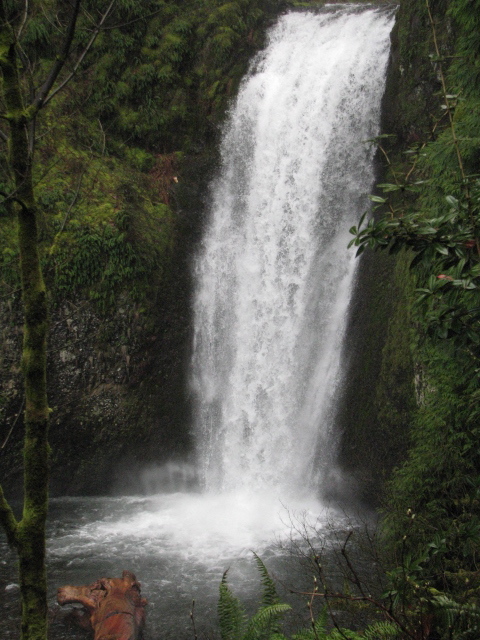 Most of the hikes in The Gorge have waterfalls, which is really nice!